Kitchenaid has some of the finest appliances ranging from ranges, refrigerators, coolers, and more. Though they are built to last, most appliances do need maintenance from time to time. This is what we are here for. We cannot stress enough how important it is to us to keep your home appliances in working order and maintained appropriately. We here at The Applianceman Service encourage you to call us with your appliances wants, needs and dreams. We immensely value our customer bond. Please call to find out what types of KitchenAid appliances we provide service for. 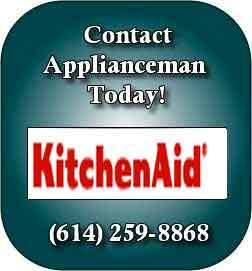 The Applianceman Service is prepared to support Kitchenaid and its product dependability. © 2017 The Applianceman Service. All Rights Reserved.